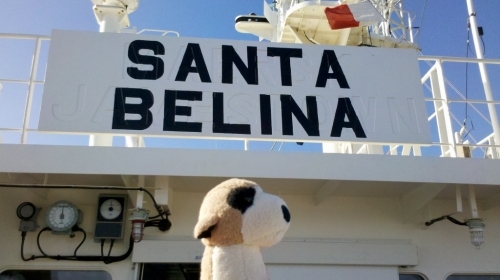 Fred has found a new home on board the Santa Belina and left Tauranga this morning (19th May 2012) heading for Tanjung Pelepas (Malaysia) then onto Singapore. The trip up to Malaysia should take about 11 days. The Santa Belina is a 223m/28616 grt container ship registered in Liberia and chartered by Maersk Line. 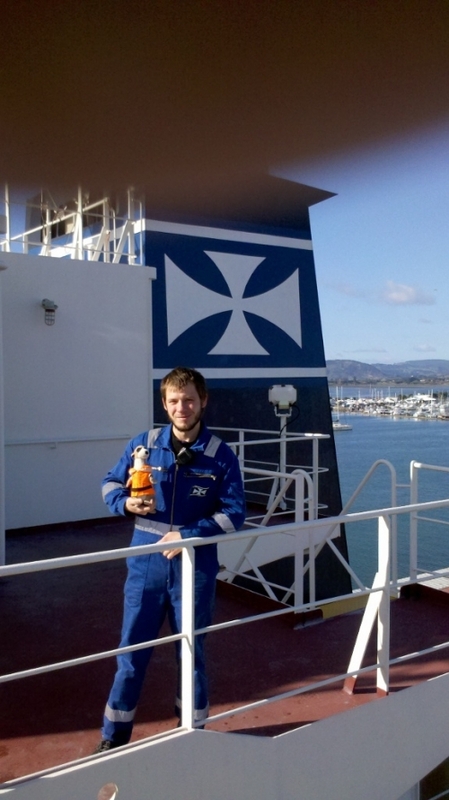 Fred was handed over to Captain Tomasz Karpiuk who seemed very pleased to be involved with the Fred project. The ship does a 5 week round trip between Singapore and New Zealand and the Captain will endeavour to pass Fred onto the ship's agent in Singapore to transfer to another vessel rather than returning back to New Zealand. So hopefully Fred will see some more of the Asia Pacific region. 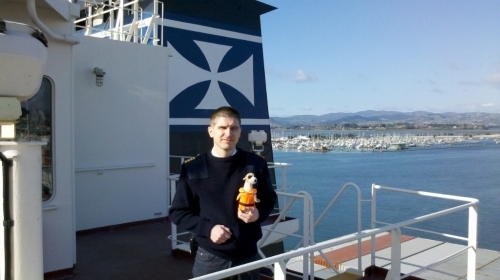 Lets hope Fred enjoys his new home We have really enjoyed being involved with the Fred around the World project and wish Fred all the best for his continuing journey. Regards Tracey, Dale and Anna.